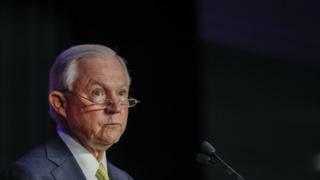 US Attorney General Jeff Sessions will testify in public to the Senate Intelligence Committee on Tuesday on his role in the Russia investigation. Mr Sessions, who wrote to the Senate Intelligence Committee at the weekend, has asked that the hearing be open. He will face questions about undeclared meetings with Russian officials and the president's firing of the FBI chief. Media reports last week said Mr Sessions had offered to resign because of tensions with the president. Mr Trump was angry that the attorney general had recused himself from the FBI's Russia probe, according to US media. Tuesday's hearing has been scheduled for 14:30 local time (18:30 GMT). America's top justice official will be the most senior government official to testify before the Senate committee, which is looking into allegations that Russia had tried to meddle in last November's election. It is one of several congressional panels that, along with a special counsel, is also investigating whether any Trump campaign officials colluded with the alleged Kremlin plot. The White House has rejected any collusion with Russia, which has denied meddling in the US election. In his letter on Saturday, Mr Sessions said: "It is important that I have an opportunity to address these matters in the appropriate forum." He had been due to appear before the Senate and House appropriations subcommittees on Tuesday, but said his deputy would attend those hearings instead. Mr Sessions removed himself in March from involvement in any probe of alleged Russian election meddling after it emerged he had failed to disclose a meeting he had last year with Moscow's ambassador. Democrats have questioned why, given his recusal, Mr Sessions was involved in the president's 9 May dismissal of FBI Director James Comey. "There's a real question of the propriety of the attorney general participating in that in any way, shape or form," Democratic Senator Jack Reed told the Fox News Sunday show. In testimony last week, Mr Comey suggested Mr Trump had fired him to undermine the Russia inquiry. Trump-Comey row: What questions remain after testimony? Mr Trump had himself attributed his dismissal of Mr Comey to the Russia investigation. 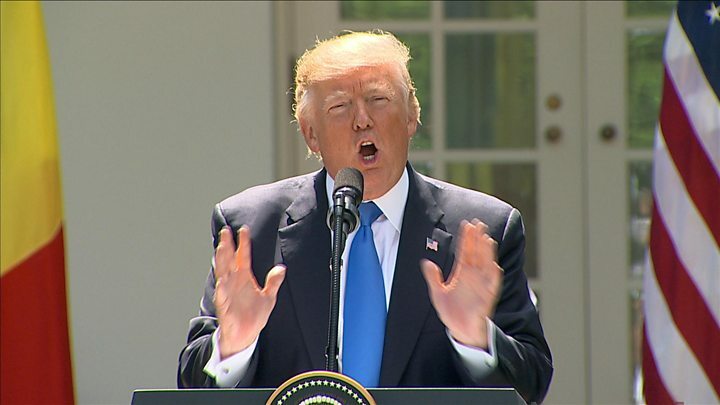 However, the Republican president has denied trying to impede the probe and said he would be willing to testify under oath about his interactions with Mr Comey. 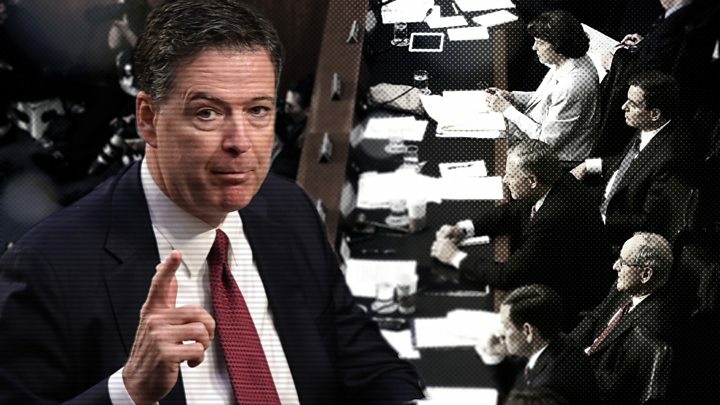 The former FBI director's testimony provoked scorn over the weekend from his former boss, who dismissed him as a coward. Mr Trump tweeted on Sunday: "I believe the James Comey leaks will be far more prevalent than anyone ever thought possible. Totally illegal? Very 'cowardly!'" On Monday, the White House again refused to confirm or deny if Mr Trump had recorded his conversations with Mr Comey, as the president previously seemed to hint. White House press secretary Sean Spicer told the daily briefing: "The president made clear in the Rose Garden last week he'll have an announcement shortly." The Secret Service said it had made no recordings in Mr Trump's White House, according to a freedom of information request by the Wall Street Journal. But it did not rule out the existence of other tapes.